Can You Really Lose Weight In Virtual Reality? Home Games Can You Really Lose Weight In Virtual Reality? In the 21st century, we won’t be spending precious time staring at white walls as we run on a treadmill going nowhere or lifting weights like a cave man or cave lady. Those workouts got us where we are today and still have their value, but virtual reality is now the only all-in-one entertainment and fitness system available. VR games are a great way to immerse yourself in an activity that’s fun but is also a large and inclusive community that can keep you accountable for self-improvement, weight loss, and real fitness results. What makes VR a legitimate fitness activity is the ability to sit or stand, react, and move around in a play space as you get immersed in gameplay. The full physical and emotional immersion or that feeling that time is flying by because you’re having fun is what separates this tech from the consoles or PC gaming of the 20th century that relied on a controller or mouse and zero body movement. The Vive, Oculus, PSVR and Windows Mixed Reality headsets each have the capabilities for dynamic movement in gaming where you can sit or stand and get heart-thumping cardio exercise or strength training when you add a weighted vest or gloves to the mix. In VR, the possibilities for gamified fitness are virtually limitless. VR is an amazing experience but is also a great workout that allows us to do things we humans can’t do or wish we could do in our everyday lives. We can become a boxing star in the virtual ring with Knockout League, can play on a team with other mechanized players and fly around in Echo Arena, or transform ourselves into a swole superhuman fighter by working out with Black Box VR cable resistance machine. Indie and major VR studios like FitXR, Survios, and Bean Boy Games are a small handful of the various studios leading the way towards fitness by creating games that are targeted towards entertaining exercise. The quick answer to whether you can really lose weight in VR is a huge YES. Keep reading to see how 9 fit gamers have achieved weight loss, health, and well being in VR! Karen is a Zumba instructor with a love for rhythm VR games like Audioshield and BoxVR that helps her stay in shape and the weight off. She has a busy life but doesn’t let time or her schedule stop her from using her Oculus to exercise in the mornings or on days she’s not dancing her way through a Zumba class. Read more about how Karen uses VR as a fitness tool here. Kevin is an NHS Healthy Lifestyles team member who helps other people reach their health potential through lifestyles changes in the UK. After fighting and winning against lymphatic cancer and living with lung and heart issues, Kevin uses his Oculus to fight back and reclaim his health by playing VR games like Superhot VR and boxing games like Thrill of the Fight and BoxVR. Kevin has seen real results by staying active in VR where he says: “According to my Fitbit I have smashed 10,000 steps and 60 minutes of exercise for the last 38 days in a row and probably about 90 out of the last 100, so I think it’s fair to say it’s an ingrained habit at this point. Read more about how Kevin reclaimed his health here. Sonya, or Hasko7 as her Echo Arena teammates call her, began her fitness journey with VR after fighting through health scares that caused chronic pain and took a toll on her mentally. She found that playing Oculus games like Echo Arena, Robo Recall, and Sprint Vector while sitting helped reduce her pain and helped her lose over 40 pounds! Read to see how VR has helped Sonya with chronic pain and weight loss here. Will is a PR Consultant and game creator who credits VR as a weight loss tool that helped him drop 50 pounds! He credits using VirZOOM, a VR stationary bike with arcade games, as the means to his weight loss. Read more about how Will used VirZOOM to lose 50 pounds here. David is an Oculus owner and a game developer who played VR games like Soundboxing and The Lab (Longbow) to lose 10 pounds and counting. The adrenaline rush of Soundboxing and the YouTube and beat map customization are what drew him to the rhythm boxing game. Read about how David dropped 10 pounds by playing Soundboxing here. Dusty is a gamer from the era of the Atari and Commodore 64 who credits VR games like Racket: NX, Soundboxing, Hot Squat and Audioshield for his weight loss transformation. He used his Vive to get in shape, lost over 20 pounds, and managed to avoid having to return back to a commercial gym. Read more about how Dusty Fohs got fit with VR and lost 20 pounds here. Here at VRFI, age is just a number when it comes to fitness. Oldboy67, a 67-year-old Reddit user and Vive owner, lost 12 pounds and counting in just two months of playing VR games. He credits active titles like Audioshield, Hot Squat, Elven, and Racket: NX for his weight loss, flexibility, strength, and feelings of accomplishment and well being. Read more about Oldboy67’s weightloss and fitness journey using VR here. Job is a PR and game industry veteran who has now lost over 90 pounds by playing VR games and eating healthy. With hard work and dedication to fitness and wellness, Job played hours of Soundboxing and other games like Sprint Vector, Sparc, Gorn, and Robo Recall for an entertaining full body workout that didn’t involve going to a gym. For extra resistance and to bust through plateaus Job adds a weighted vest and gloves to the action! Read about Job’s inspirational 90-pound weight loss by playing Soundboxing here. Tim is a fitness trainer who set out to do a 50 Day VR Fitness Challenge on Reddit. He tackled his weight loss goals and lost over 14 pounds during that time from working out with games like Audioshield, Thrill of the Fight, Holopoint, and Holoball. He even created community groups on My Fitness Pal and Reddit (r/vrfit) to help others stay motivated with their own fitness challenges. Read all about Tim’s 50 Day Weightloss Challenge to kickstart your own challenge here. Virtual reality is bringing fitness, health, and well being into people’s lives by tapping into their true potential and instincts to play and have fun. The only thing left to do is to make goals and take action. Whether those goals are weight loss, endurance, strength building, toning up or gaining muscle, or simply to feel better about your life, VR can help you achieve them! 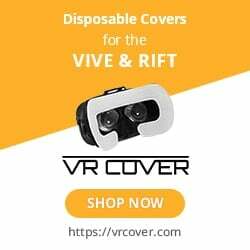 If you want to get started on your own VR fitness journey please visit our Affordable PCs For VR Fitness article to see which computers are compatible with your VR headset. For information on which headset to buy and why, please read our Top VR and AR Headsets Today article. To stay updated on the latest and greatest VR fitness games check out our Top 15 Best VR Fitness Games For A Total Body Workout.